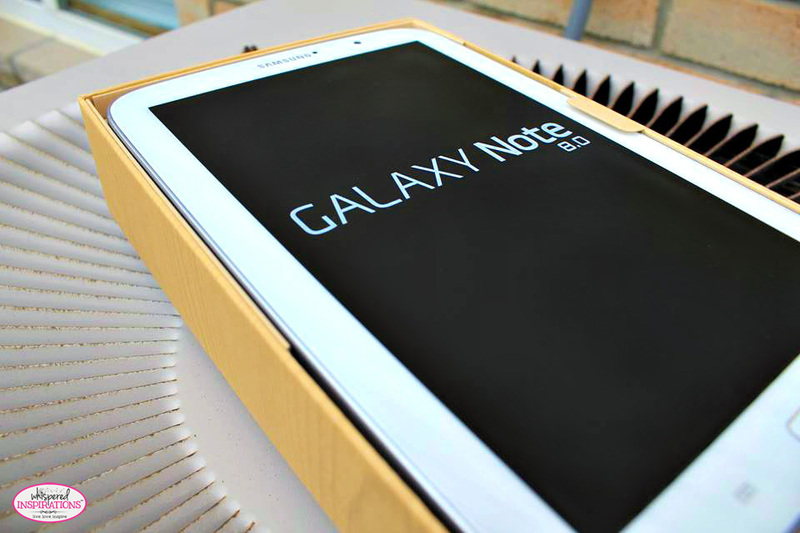 The Samsung Galaxy Note 8.0 Tablet. I had the absolutely most amazing opportunity to test out the Samsung Galaxy Note 8.0 Tablet by TELUS and had a few months to use it on their super fast and by FAST, I mean FAST network. It just so happened that since mid-September and up to this last weekend, we have been travelling. So, I was able to take this gorgeous tablet with us, where ever we went! It has been in Toronto and the GTA, Michigan, Florida and the Bahamas Islands. Now, as many of you know, I do love my gadgets. This one in particular, is the perfect size. You can slip it into your bag or your purse and your’e good to go. That means, you have a mini PC with you, where ever you go! I have a Galaxy S3 and I am familiar with the Android technology. With that said, I know that not only is the tablet lightweight, easy on the eyes and super awesome but, it’s a powerful piece of hardware that is capable of many, many things. In my honest opinion, I think it’s one of the best tablet that Samsung has offered thus far and is totally worth the price. Not to mention, when you’re with TELUS–you’re GOLDEN. 8’’ Screen Size makes this tablet the perfect portable solution. S Pen with even more functionality, so you’ll never put it down. The camera features are pretty neat too. As per most standards, the tablet comes with both front and back cameras. So, it’s simple to take pictures of your loved ones, favorite places and more and even easier to take those random selfies when you flip the camera around. You can also use basic effects like black and white, sepia or negative. The editing features take you to Photo Editor or Paper Artist and there you can turn into a cartoon or edit your pictures by adding filters and more. You can also add photo frames, photo notes and you can crop, print and share! The camera quality is pretty good, it’s 5 mega pixels and has auto focus, smile detection, ISO control, white balance presets, geo-tagging and a panorama feature. One of the things that I love about the Note 8.0 tablet is the customization that comes with the operating system. You can add all types of widgets that can help you in your everyday tasks and pretty much getting your day started. With the tablet, I set my alarm, check the time, weather, emails and stay in contact with my all my social media. I am always connected since I can read the latest news, watch the latest videos and keep up with my own schedule that I set. The most impacting thing that I have used the tablet for is to get organized with my work schedule. I am able to sync my Google Calendar with my tablet and I have an updated version of scheduled work at all times. I can also edit it and add to it from the device itself. But, as many features that this tablet comes with, the most amazing is the S Pen feature. This is not to be confused with a stylus because this baby is highly integrated into the software of the device and it can do so much! It can detect 1024 levels of pressure sensitivity and it has S Note which absolutely rocks! There’s also Sketchbook and the hand writing tool that I use ALL THE TIME! I can write my emails, use the notepad and even draw with this baby! I don’t know about you but, I use my GPS a lot. Even when I am walking to a destination I’m not familiar with or even on the train or bus! If I am out of town or in a different city, I most definitely need it. The first week of September, we were in Toronto. While my Hubby is a former Torontonian, so much has changed and is constantly changing. We needed the GPS. We were also taking part in a challenge where we had to drive around and find different locations, kind of like a treasure hunt. 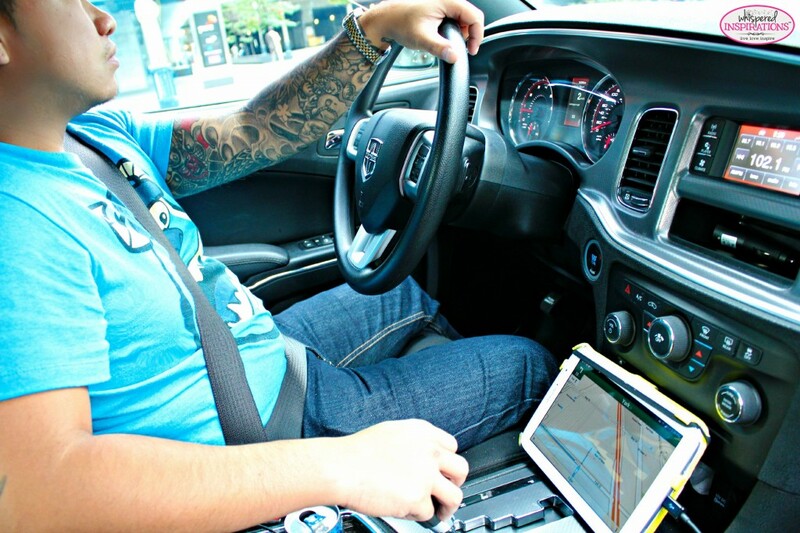 The GPS came in super handy and using TELUS’ 4G LTE Network, we could depend on having snappy and reliable service. We did and of course, I was the one manning the GPS , I was in the passenger seat and giving instructions to my husband. Well, because you should NEVER use your device while you are driving. EVER. Well, it was just as handy when were out of the country, we were able to use it to check for flights, flight statuses and keep in contact with family and work while we were able to connect to a WiFi connection. We took our tablet on a week’s trip to Disney the following week of September and it we used it for arranging and adjusting our reservations, getting fast passes and using Disney’s park maps. We were lucky, since they offer park-wide WiFi! The World At Your Hands. You can see a bit of our trip and the tablet in all it’s glory in the video! All in all, this tablet is by far superior when it comes to using the S Pen technology and it’s a powerful device for it’s size. We used the Samsung Note 8.0 Tablet for our last leg of the trip which was a Disney Cruise on the Disney Dream and 1 week in Florida. From our tablet, we were able to check out flight information for my parents who were meeting us in Florida, our own departure times and more. We were also able to surprise the girls the morning of our flight and we were able to capture the moments with our Note 8.0. Not to mention, they were super excited about going on the cruise but, in reality–they didn’t know what they were in for! So, when we reached Florida and got to our hotel room we showed them on our Samsung Galaxy Note 8.0 tablet what they had in store on the cruise. I was able to check my emails from the middle of the Atlantic Ocean and before I left for port in the Bahamas. 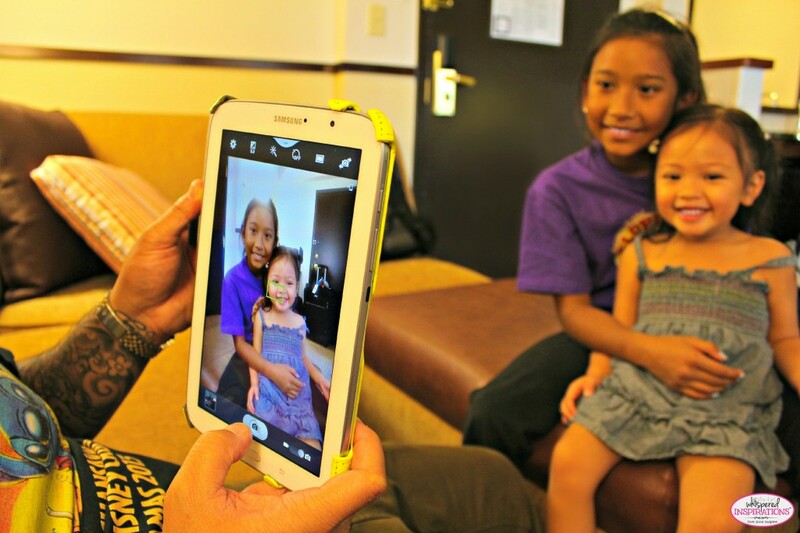 Ultimately, this tablet is perfect for any gadget lover and for families who want to stay connected, capture and SHARE those moments in life that are so memorable. For those who love to be mobile without missing out. We were able to do just that and the trusty tablet was in our hands. 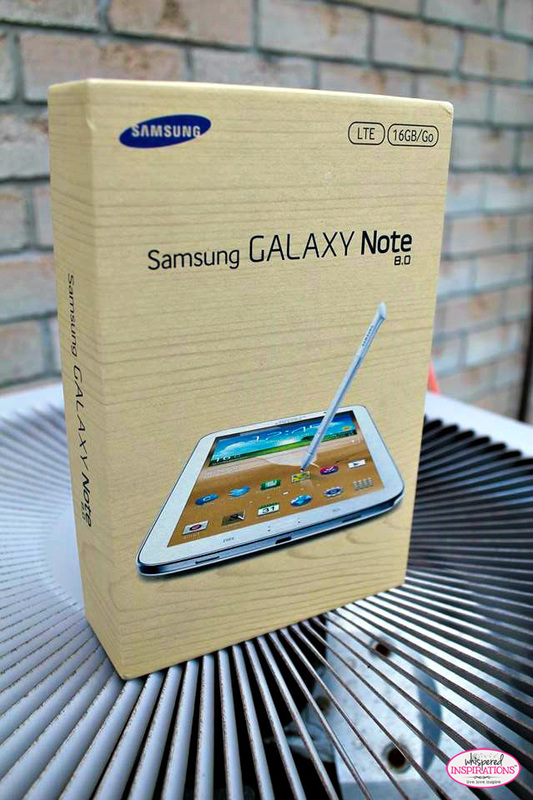 For more information on the Samsung Galaxy Note 8.0 Tablet and how to get your hands on one through TELUS, go here. It’s SIMPLE to own a tablet with TELUS, pay a portion of the cost up front. Pay the rest over time by adding $20 to your monthly bill until the balance on your tablet is paid off. To connect with the awesome peeps over at @TELUS you can follow them or “like” them, here. Plus, you get FREE shipping to Canada if you order online! 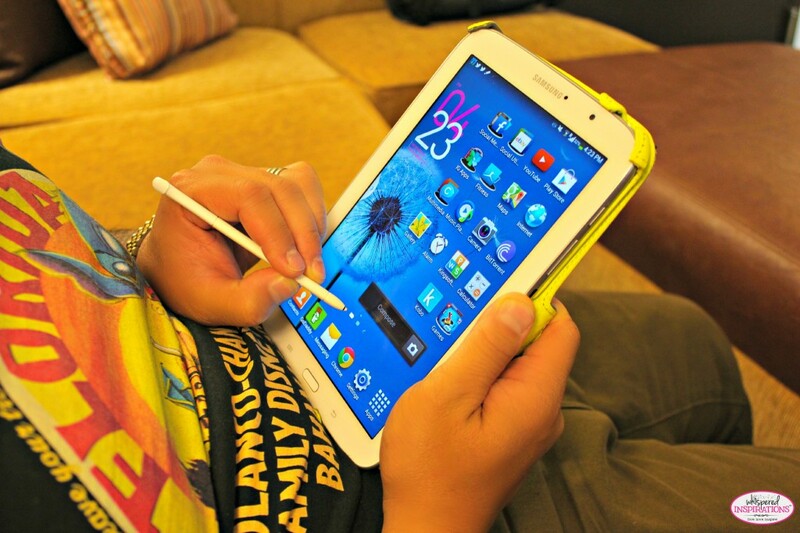 What is your favorite way to stay connected, would you consider the Samsung Galaxy Note 8.0 Tablet? This looks so useful. I love that you can use it as a GPS. I need one! Wow that does look amazing. Love that the memory is expandable. I love Samsung! I have the Galaxy Note 2.0 7 (or something like that) and I use it for so much. It hasn't failed me yet! I like the navigate option – that can be helpful! Very nice looking, I think this is going to be on my Christmas list this year! Great and informative article Nancy. I have been looking at getting a tablet for awhile now and after spending the weekend at BlissDom Canada I have tablet envy, LOL. Thank you for giving us such a great overview. This will help make my decision. I would love to have a tablet that I can take around with me for business purposes. This sounds great. Looks like a really great piece of technology! Right now I'm an iPhone girl but I do really want to invest in a tablet and this looks like it should be at the top of my list. I loving having a tablet in the house – perfect for watching a TV show in bed, or browsing the internet while on the go. I'm sure my hubby would LOVE one of these 🙂 He's a techie gadget type! Great review! I totally want that tablet! Kids gave hubby one for Christmas,he loves it !